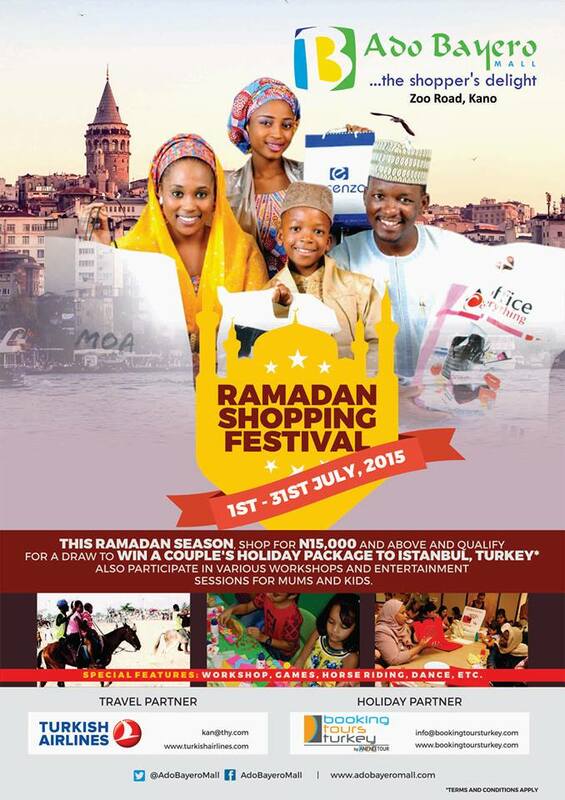 ADO BAYERO MALL RAMADAN SHOPPING FESTIVAL. WIN A TRIP TO ISTANBUL TURKEY. This Ramaddan season, Shop for N15,000 and above in any store at Ado Bayero Mall and qualify for a draw to win a COUPLE’S HOLIDAY PACKAGE to Istanbul, Turkey. Also participate in various workshops and entertainment sessions for mums and kids. Hurry Now! Share info with friends and family.